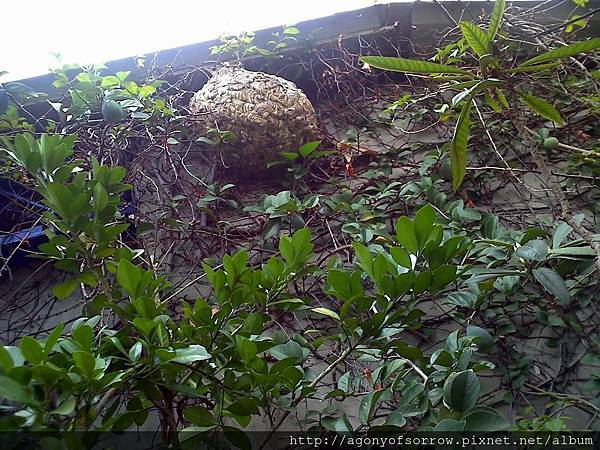 Hornet nest at my parents' home in Taipei City. They came to build a new nest every year for several years. My parents didn't bother them and they got along quite well with the hornets.They moved away in late autumn and came back next spring.